Fingerprint Cards And Fingerprint card Scanning Ohio BCI and FBI By Fast Finger Prints, a National Background Check Company. FastFingerprints can submit FBI fingerprint cards (FD-258) electronically to the Florida Department of Law Enforcement (FDLE). Our Fingerprint Card Scanning service can be performed for Level II Live scan background check requirements. All completed fingerprint cards are processed within 2-4 business days of delivery to the NBCI corporate office in Columbus, Ohio. Upon Receipt, FDLE can process the fingerprints within two business days. Intended recipients (State Agencies) are notified of the results. Please note: Every transactions needs an ORI# number. To obtain this number please contact the agency who is requesting the background check. Complete 2 FBI (FD-258) fingerprint cards. Print Cards Here, or use the FD-258 Fingerprint cards provided by a Law enforcement agency. If you don't live close to a livescan vendor or police station, please purchase one of our self-fingerprinting kits at the following link or via Amazon by entering the following Product ASIN in the search bar (ASIN: B0161MY7JA). Download the Florida Card Scanning Form Here. Complete this form and include the ORI#. NOTE: If ORI# is not included it will delay processing. *Note: Please do not fold or bend the fingerprint card(s) when mailing them to NBCI. Also, please mail them in a large envelope. FastFingerprints can electronically submit the Ohio BCI "Civilian Background Check" and the FBI (FD-258) fingerprint cards and transmit it electronically to Ohio BCI. This Fingerprint Card Scanning service can be performed for any purpose under Ohio legislative reasons. All fingerprint cards are processed within 2-4 business days of delivery to the NBCI corporate office in Columbus, Ohio. By using the electronic method, Ohio BCI can process the fingerprints within two business days plus applicable mail time. Results are mailed to the intended recipient. Complete 2 Ohio BCI and/or FBI (FD-258) fingerprint cards. *Note: At the time of fingerprinting, your Left 4 Fingers (Left Slaps), Thumbs, and Right 4 Fingers (Right Slaps), MUST LAY STRAIGHT on the cards (not at an angle) in order to be accepted. If you don't live close to a livescan vendor or police station, please purchase one of our self-fingerprinting kits at the following link or via Amazon by entering the following Product ASIN in the search bar (ASIN: B0161MY7JA). Download the Ohio Card Scanning Form. Complete this form for the purpose of an Ohio legislative reason, including payment information. *Note: Please do not fold or bend the fingerprint card(s) when mailing them to NBCI. We ask that you mail them in a large envelope. 2. Download and fill out a Background Check Form and email (contactus@fastfingerprints.com) or fax (614.457.8930) it to our corporate office. FastFingerprints Ohio locations can take your fingerprints via LiveScan technology and produce a fingerprint card(s). Whether your organization needs fingerprints on file for security reasons, employment or multiple submission of the same prints, NBCI™s Live Scan electronic system includes built-in quality readings to obtain the best possible fingerprint image, eliminating the need for reprints. Fingerprint cards can be obtained at our Columbus-Bethel Road, Cleveland South, Cleveland-Westlake, Cleveland-Beachwood, Cincinnati-West Chester, Toledo, Westerville and Washington, D.C. locations. 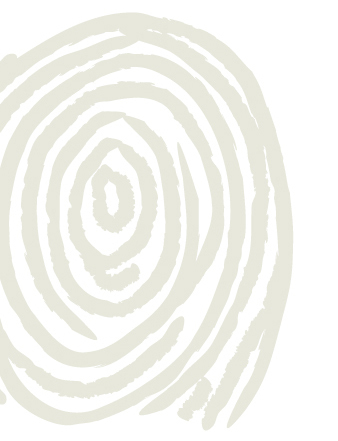 Click here for information about our Fingerprint Kits.